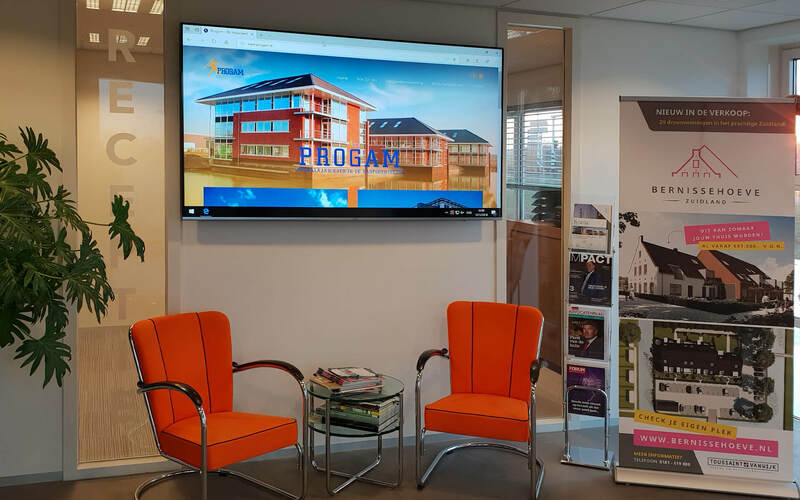 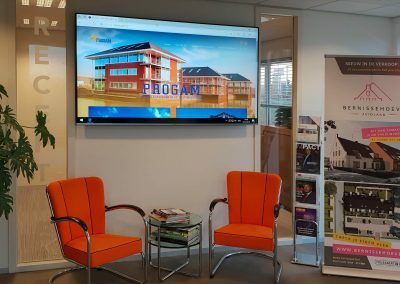 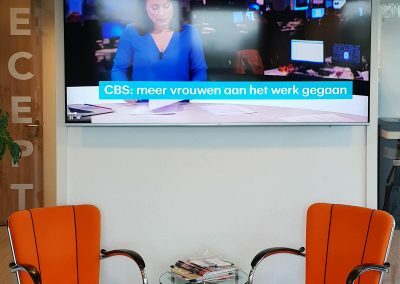 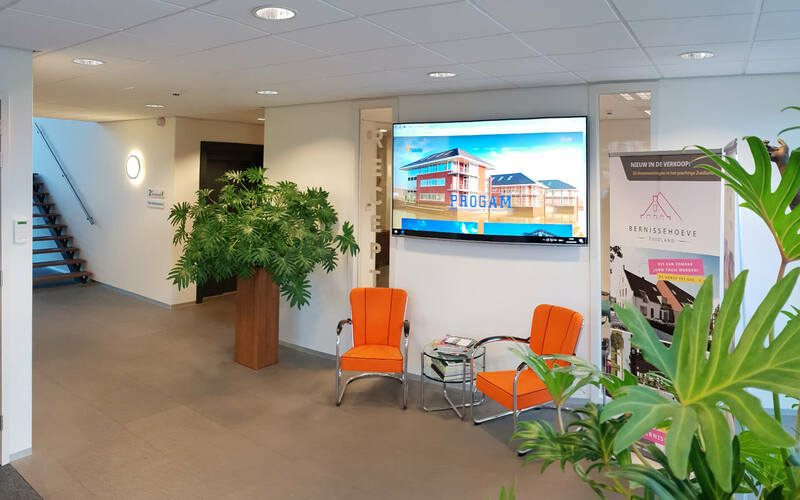 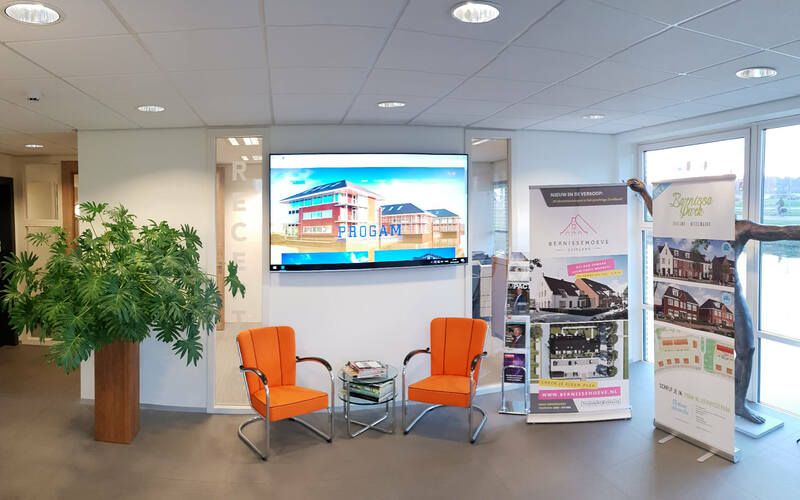 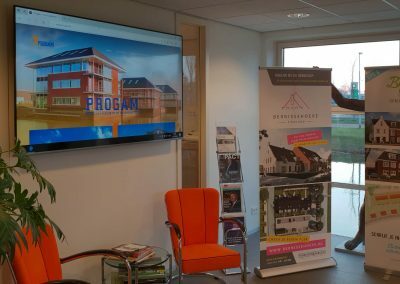 At PROGAM Real Estate Development & Construction Management in Barendrecht, CRJ Audio Visueel was able to install a welcome display in the waiting room. 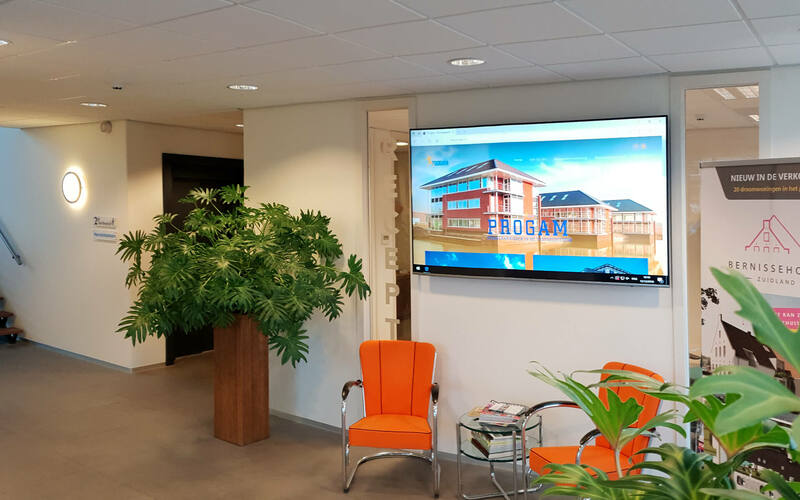 In the waiting room, at the entrance and reception, we have been able to hang a Samsung 82 inch. 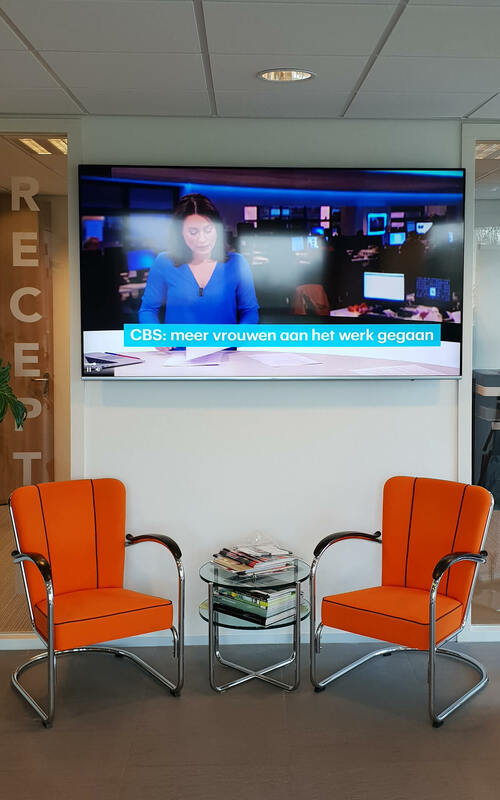 Of course, the whole is neatly assembled and the cables neatly finished. 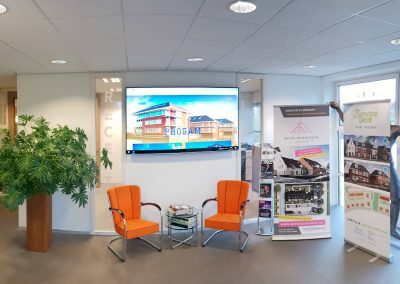 PROGAM shows company information and current news items on the display. 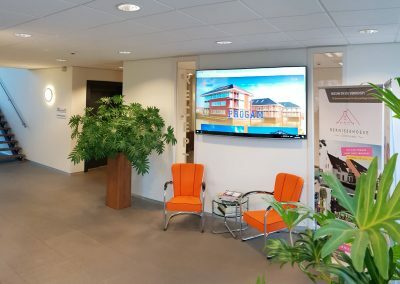 In this way, visitors are already informed about the current issues at play at PROGAM and the world news. 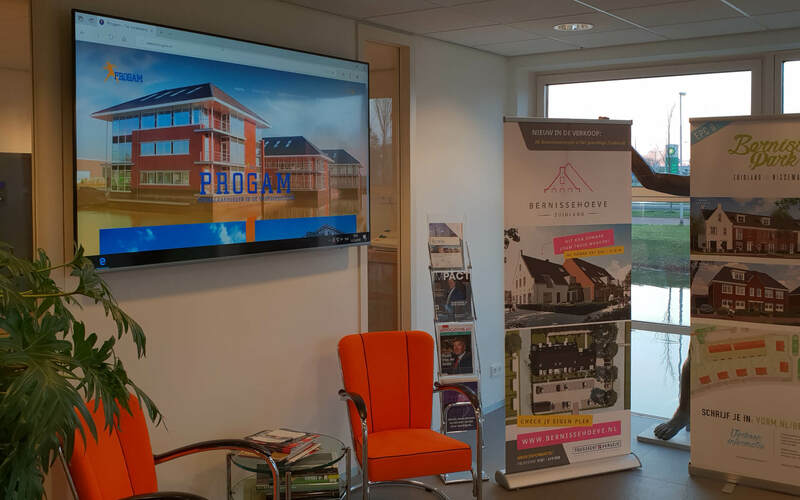 PROGAM Real Estate Development & Construction Management is an independent developer in the field of commercial real estate. 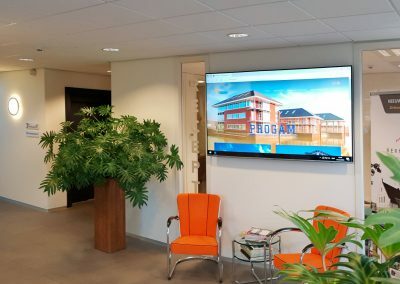 Sustainability and responsible construction with a high-quality finish are two of our core values.